Classification: Taxonomy and phylogeny, South America.
" In regards to the taxonomic status of Symphysodon Discus Tarzoo "
The cover of the aquarium magazine issue that contained Lyons' article, showing the touched-up black & white photograph of the blue discus. More than 50 years ago the American aquarist Earl Lyons (1959) tried to describe a new species or variety of discus fish which he called Symphysodon Discus Tarzoo (sic). We do not know whether or not Lyons really had the intention of describing a new taxon, but more recent developments have forced us to acknowl- edge the possibility that he did. However, some doubts remain. For some reason Tarzoo, derived from Tarpon Zoo, was not Latinized. Furthermore, Lyons clearly stated that the designation coined by him was “unofficial” and in the eyes of many experts such a qualification is regarded as a disclaimer in the sense of the International Code of Zoological Nomenclature (which means that the new name is not valid). Furthermore he clearly stated that he knew nothing about the status of his taxon, species or variety, and that too is not a recommendation. Nevertheless, Kullander (1996) and Ready et al. (2006) feel that they have given the correct answers to all these questions and that the use of the word “unofficial” in this case cannot be regarded as a disclaimer in the sense of the Code. It is also stated that Lyons’s paper can be regarded as a conditional description. Descriptions of this type published before 1961 cannot be rejected merely because of the presence of a built-in condition. Whatever the case, Kullander (1996) and Ready et al. (2006) changed the suggested name into Symphysodon tarzoo and treated it as perfectly valid and available. In my opinion, however, these authors overlooked one small but nasty aspect of the problem. Some years ago I published an article in the German aquarium journal DATZ (Geerts, 2009) in which I argued that the article of Lyons cannot be regarded as a formal description because the designation Symphysodon Discus Tarzoo is not in agreement with the rules laid down in the International Code on Zoological Nomenclature. The reason for that was that this Code demands that names of the genus group must always begin with a capital letter, whereas names of the species group must always begin with a lower-case letter. It is abundantly clear that in Lyons’s article one or two “names” of the species group begin with a capital letter. The message is clear and cannot be misunderstood; to be available a species name must always begin with a lower-case letter. These regulations are so definitive that it is hard to believe that they have been different in the past. Nevertheless, some people realize that they cannot deny the existence of these rules today, but at the same time are inclined to believe that they did not exist during the first sixty years of the twentieth century. That is especially true when we are dealing with a designation that more or less sounds like a scientific name. After all, using a capital letter instead of a lower-case letter does not sound like a big deal. “ Die zoologische Regeln haben eine einheitliche Lösung gefunden: Sämtliche Art-namen werden klein geschrieben ” (italics by Richter). Translation: The zoological rules have found a comprehensive solution: all species names are written in lower-case. If every species name must begin with a lower-case letter, then a name that begins with a capital letter can simply not be a species name. That looks very obvious to me. Since it is not possible to describe a new species without giving it a valid scientific name, we can safely say that from a nomenclatural point of view the paper of Lyons (1959) belongs in the wastepaper basket. Knowing this we can only conclude that Symphysodon Discus Tazoo Lyons, 1959 is not a nomen nudum, not a nomen oblitum or a nomen novum, it is not a nomen at all. It seems that, inasmuch as the names of species are concerned, the rules that had to be applied in 1959 were not really different from what they are now.
" All species names are written in lower case "
It is often stated that a discussion on capital letters and lower-case letters is at the same level as a discussion on dots and commas, but that view is incorrect. First, we must keep in mind that the rules on zoological nomenclature deal only with names, nothing else. If we evaluate Symphysodon Discus Tarzoo against that background it is easy to understand the meaning of Symphysodon. We all know that in a combination the generic name comes first. However, if we have a look at Discus we immediately are confronted with a problem, because in the given combination that looks more or less like the name of a sub-genus. Every genus has at least one sub-genus but only a few species have a sub-species, so statistically seen, Discus probably is a subgeneric name, not a specific name. As a consequence of that uncertainty we do not know if Tarzoo is a specific or a sub-specific name. For the sake of completeness it should be mentioned that even in 1959 sub-generic names had to be placed between parentheses. However, the work of Richter (1948) clearly shows that the use of lower-case letters in species group names was regarded as the best possible way to attain a uniform way of writing scientific names. In 1905, the year in which the first edition of the Code was presented, there were only primitive type-writers, no computers or word-processors and much had to be written by hand. As can be seen in the archives of most institutions the handwriting of many scientists was hard to decipher and the distinction between capital letters and lower-case letters was easier to notice than the presence of parentheses. The extent to which confusions may occur as a consequence of the incorrect use of capital letters should not bother us further. Suffices to say that the wise men who in 1905 put the first edition of the International Code together have decided that species names must always begin with a lower-case letter and that, to make these names available, this rule must always be followed. For a complete understanding of the rules it should be mentioned that during the first period of its existence it was still allowed, but not recommended, to begin a specific name with a capital letter when the species in question was named after a natural person. As we have seen however, Tarzoo is derived from Tarpon Zoo, the name of a pet shop and not that of a natural person. In my opinion we have no other option but to accept the fact that Lyons in 1959 tried to make a scientific name out of Symphysodon Discus Tarzoo, but failed because his designation did not meet the requirements of the Code. For that reason the whole description is at variance with the rules and cannot be accepted as valid. 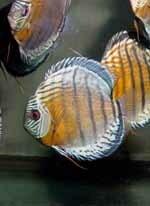 Most recently Heijns (2011) also discussed the status of Symphysodon Discus Tarzoo. Most remarkably, he assumed that the first edition of the International Code was not published before 1961, whereas the paper of Lyons appeared in print as early as 1959. He then consulted a set of regulations of which he believed that they should be regarded as a more or less informal predecessor of the Code, the so-called Règles Internationales de la Nomenclature Zoologique. In reality the first edition of the International Code was published in 1905, followed in 1961 by the second edition, and Les Règles are nothing but the French translation. That means that the rules incorporated in the first edition of the Code are perfectly applicable to Symphysodon Discus Tarzoo. Heijns is fully aware of the fact that in 1959 species names had to begin with a lower-case letter, but according to him Les Règles did not say what to do with “names” that incorrectly begin with a capital letter. Therefore he feels that in such cases nothing can be done and that such “names” cannot be rejected legally. In other words, we are expected to believe that the wise men who put Les Règles together simply forgot to make proper regulations and therefore these “species names” slipped through the “meshes of the net”. As we have seen however, the regulations Heijns searched for in vain do not exist because they are not needed. We can safely say that the problem is self-regulating, because names that do not begin with a lower-case letter cannot be regarded as species names and that is all there is to it.
" Schultz replaced Symphysodon Discus Tarzoo with S. aequifasciatus haraldi "
For the next step in his treatment of those “names” Heijns turns to an unnamed article (probably 19) which deals with spelling mistakes. According to him all kinds of spelling mistakes can be corrected which means to him that the unnamed article makes it possible to change Symphysodon Discus Tarzoo into Symphysodon discus tarzoo. As we all can imagine it is difficult to distinguish between typographical errors, and spelling mistakes, but it is hard to believe that the incorrect use of capital letters can be regarded as such a type of mistake. According to the third edition of the Code, the word “spelling” can be defined as “the choice and arrangement of the letters that form a word”. That definition most certainly does not include the question whether or not a word begins with a lowercase letter. Furthermore, it is possible to begin all words both with a capital letter and a lowercase letter without making a spelling mistake. It all depends on the place at which a certain word occurs in a sentence. Finally, whereas the use of capital letters to begin a species name with is clearly forbidden by the Code, the making of spelling mistakes is not. After all, ignoring the rules is fundamentally different from making a typographical error. However, all the arguments put forward by Heijns can be put aside safely, because Article 19 clearly deals with the spelling of names only. As we have seen before, in the sense of the Code Symphysodon Discus Tarzoo is nothing but a misnomer that cannot be regarded as a name. Once more, according to the rules that had to be applied in 1959 all species names had to begin we a lower-case letter, so a name that begins with a capital letter can, by definition, not be a specific name and as a matter of fact, a species cannot be described formally without giving it a valid scientific name. It may be argued, as some people do, that Symphysodon Discus Tarzoo Lyons, 1959 has been made available by Kullander (1996) or more recently by Ready et al. (2006). In that respect it should be kept in mind that a species description is attributed to the author(s) who made the name available. As I said before, Schultz (1960) regarded S. tarzoo as a validly proposed name, but in his opinion that name was nothing but a nomen nudum and therefore not available. In itself that would not have caused a big problem, but Schultz immediately proposed a replacement name, Symphysodon aequifasciatus haraldi. From a nomenclatural point of view these two “names” can only be regarded as each other’s replacement, which means that they, by definition, must apply to the same taxon. That taxon can therefore be regarded as a coin with two sides and only one side can face up. In other words, if we believe Schultz is correct in accepting Lyons’s name as valid, we have two possibilities (1) S. tarzoo is a nomen nudum, then S. haraldi is a valid name, (2) S. tarzoo is not a nomen nudum, then S. haraldi automatically becomes a junior synonym. At present it is generally accepted that S. haraldi is the name to be used, but when someone feels that a change is needed such can only be approved by the International Commission on Zoological Nomenclature. Somebody has to ask that Commission to put Symphysodon Discus Tarzoo Lyons, 1959 on the Official List of Names in Zoology, but it is most unlikely that such a proposal will be accepted, simply because only names that in principle are available can be placed on that list—and Tarzoo is not available. However, when we look at the present situation, we see that both Symphysodon haraldi and Symphysodon tarzoo figure prominently in the literature and from a nomenclatural point of view that looks like an illogical course of things. When you, like ­Heijns, prefer S. tarzoo then you must somehow get rid of Symphysodon haraldi and when we have a closer look at the voluminous writings of Bleher (Bleher’s Discus 1 and 2) we will realize that an action like that will invoke a long and unpleasant dispute, the outcome of which is most uncertain. In that respect it should be kept in mind that the Commission only comes to a ruling after a public discussion has taken place, which means that proponents of S. haraldi are fully entitled to give their opinion. Some readers may argue that in the views of certain authors the above mentioned names can be applied to different species, respectively the Green Discus and the Blue Discus. Even when that appears to be possible, without the interference of the Commission these two names cannot be used both at the same time. In that respect it should be mentioned that on the website managed by Kullander (FishBase.org) only two Symphysodon species, S. discus and S. aequifasciatus, are recognized (October 18, 2011). It is also significant that Earl Lyons (1959) himself, both in the title and the text, called his variety/species Blue Discus. A few years ago Heijns (2008) did not agree with the way in which Géry & Bleher said to have designated a lectotype for Symphysodon aequifasciatus (2006). He correctly argued that it should be possible to identify such a type individually, whereas these authors referred to two specimens without saying exactly which one they selected. It now looks as if Heijns (2011) has second thoughts and that he is trying to get rid of the lectotype that Ready et al (2006) have designated for this species. The meaning of this statement looks very clear to me. The fact that the three specimens are supposed to be equally bad enabled Ready c.s. to make their choice at free will and so they selected the specimen from Santarém. As a consequence of this choice, Santarém became the type locality of Symphysodon aequifasciatus. It is even reasonable to assume that indicating a type locality for this species was the only purpose these authors had in mind. Other things being equal, an author who designates a lectotype should give preference to a syntype of which an illustration has been published, if such a syntype exists. Assuming that the paper of Ready et al. (2006) was already submitted when Bleher’s Discus (2006) was published, Kullander (1986) was probably the first one to show a photograph of one of the syntypes of the species in question. He did so in a book on the cichlid fishes of the Peruvian Amazon and one of the species he discussed is called by him Symphysodon aequifasciatus. According to this author no lectotype had been designated for this species, but he clearly stated that the two syntypes from Tefé are “in a relatively good condition although faded.” The numbers of these two syntypes are as follows: MNHN 02-134 and MNHN 02-135. 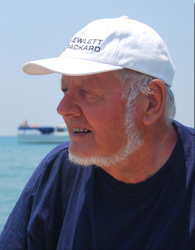 Kullander’s paper is accompanied by a photograph of one of these syntypes. With the recommendation in mind, it seems only logical to expect that the specimen pictured should have been designated as the lectotype, but for some reason that is not what has happened. If we look at the text under the photograph of the syntype we read the following explanation: “Symphysodon aequifasciatus, syntype, 122,5 mm SL, MNHN 02-134-135”. It is abundantly clear that Kullander gives a combination of the numbers of the two specimens, even though he is referring to only one of them. That leads us to the conclusion that the number with which Kullander refers to the relevant syntype is not much better than the two numbers mentioned by Géry & Bleher (2006). It is not hard to imagine that this error was reason enough for Kullander to ignore the recommendation mentioned above and to designate the specimen from Santarém as lectotype. By the way, in the text of his book Kullander uses the same combination of numbers, but then he is referring to two specimens. That probably explains the error. He has to ask the Commission to reject the lectotype of Symphysodon aequifasciatus, so Santarém is no longer the type locality of this species. It should be kept in mind that Tefé is the only alternative, so a proposal like that will undoubtedly be supported by Géry & Bleher (2006) and Bleher et al. (2007). These two request should have been approved of by the Commission, but thus far none of them has been submitted. In my opinion it can safely be said that, for the time being, the designation Symphysodon Discus Tarzoo Lyons, 1959 is of no use in discus systematics because the name is invalid. Perhaps the name as such has been made available by Kullander (1996), Ready et al. (2006), or Heijns (2011), but these nomenclatural acts came too late to prevent the description of S. haraldi by Schultz (1960), and the problems caused by that description must be solved before S. tarzoo can be used. Geerts, Martin. (October 24, 2011). "On the name Symphysodon Discus Tarzoo". Cichlid Room Companion. Retrieved on April 21, 2019, from: https://www.cichlidae.com/article.php?id=433.